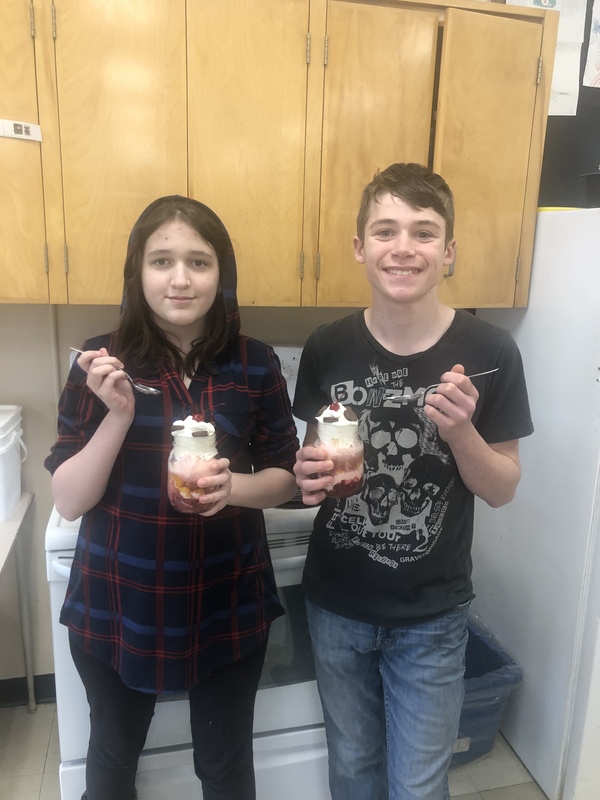 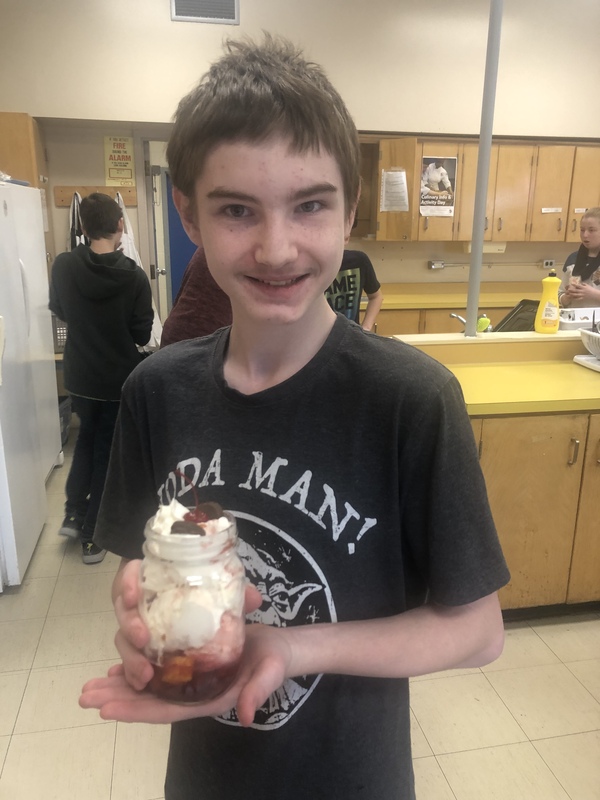 Centre Hastings Secondary School - Making the "Knickerbocker Glory"
The students in Mrs. Saunder's grade 9 English class have been reading Harry Potter and have divided themselves into the famed houses: Gryfindor, Slytherin, Hufflepuff, and Ravenclaw. They have been competing with their house teams in class challenages presented through the Classcraft Gaming app. 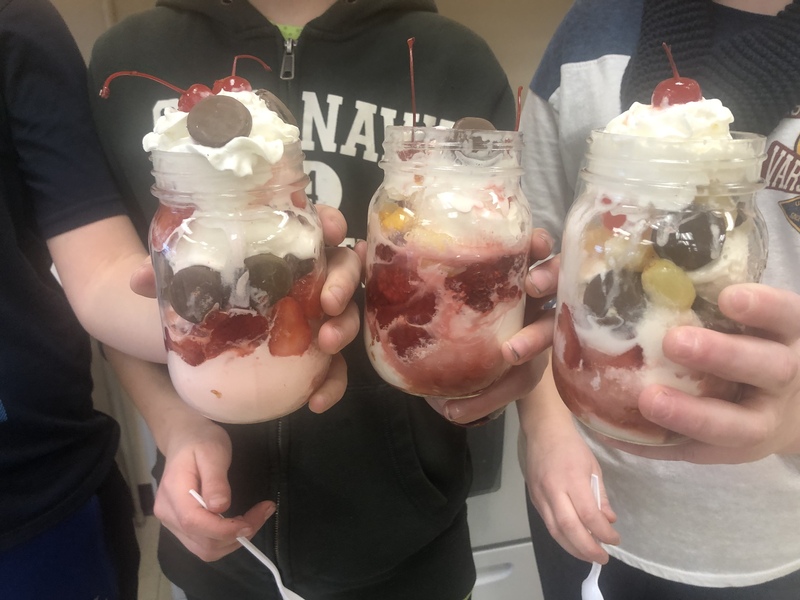 This team challenge was assessed based on team team's ability to build consensus, proper hygiene, respect for and maintenance of the space, and their method of creating the beautiful sundaes. 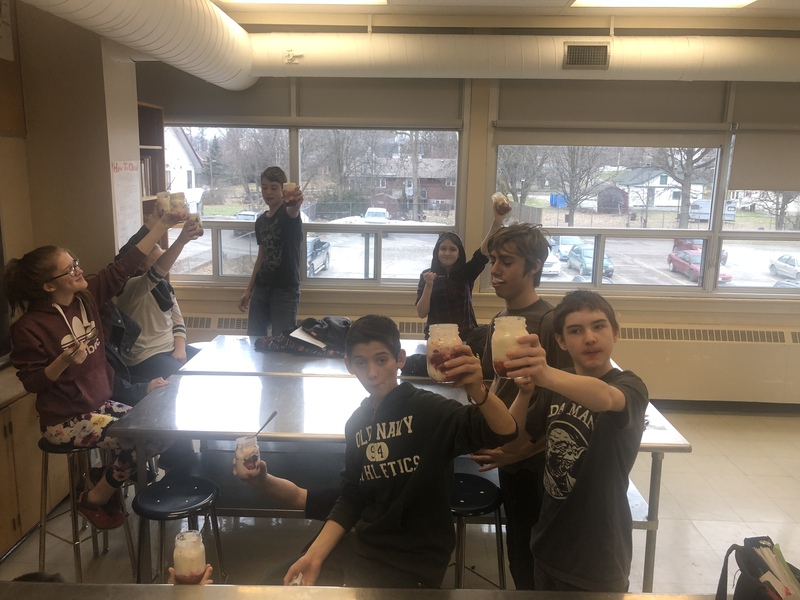 Mrs. Saunders and Ms. Pickstock are helping to create invested learners as by presenting a series of challenges that will lead to one team winning the house cup prize!